N.C. 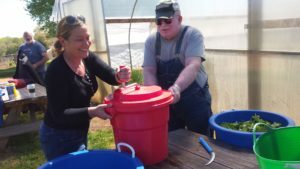 Cooperative Extension, Catawba County Center in Catawba County will be offering a new “Market Gardener” Training over 4 Saturdays in March and April. This class will be a more market-based followup to the traditional Master Gardener℠ Volunteer Program in Catawba County offered by NC Extension. This training is geared towards individuals interested in producing and selling at local farmers markets. For more information, check out Catawba’s website.